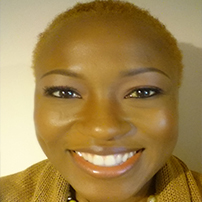 Shola is a dual qualified lawyer with broad corporate and commercial experience in the financial services industry with key focus on corporate investment banking and asset management. She is the Editor of the quarterly global Women in Leadership publication and also a Huffington Post contributor. She founded the legal consultancy company, Legal Distinction, to provide strategic legal risk management to SMEs. She has a decade of experience facilitating effective decision making to deliver key mandates; brokering strong alliances and cultivating productive relationships to influence and shape outcomes; and demonstrating leadership and mentoring qualities that drive forward developments within respective areas of responsibility. Shola believes very much in the value of education and her wealth of qualifications proves this. She is also passionate about diversity, socio-legal values and mentoring people to be visionary and achieving their goals.